Established in 2009, Outdoor Cleaning Specialists has quickly grown to become one of Sydney’s leading providers of both residential and commercial cleaning services. We’re an independently owned and operated family business, supported by a team of highly experienced and dedicated outdoor cleaning professionals. Regardless of the size of the job, we pride ourselves on delivering amazing results and exceptional service. That means if you’re happy, we’re happy! Brad and Maddi tie the knot! Brad and Maddi start Outdoor Cleaning Specialists! 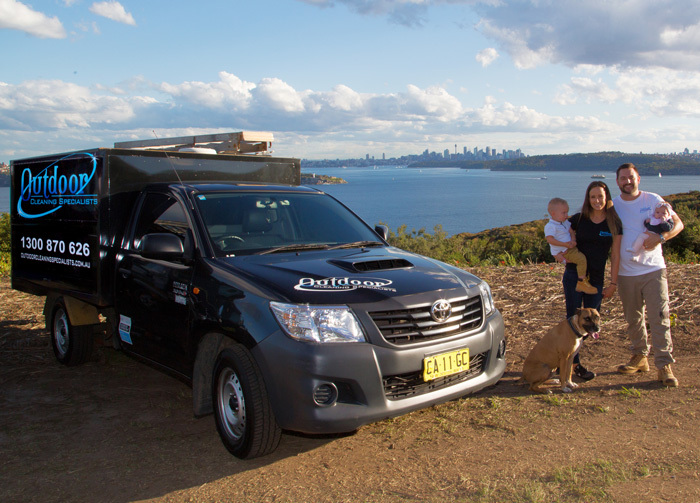 Their first vehicle is an old painter’s van and their first ever client was Marilyn from Strathfield! Looking for an outdoor cleaning company in Sydney?